Yom Kippur begins Tuesday evening of September 18, 2018. Scroll down to find details about tickets, guests, childcare and youth programming below, as well as the service schedule. Join us for Sukkot and Simchat Torah! CBI provides name tags, which function as tickets, to all of our High Holy Days services. Members and guests will be required to present their name tags to the greeters at our sanctuary entrance before each service. High Holy Day name tags are complimentary as part of membership for adult members of CBI and their children under the age of 27, provided that members have renewed their membership for the 2018-2019 year. Each adult member of the congregation receives one name tag. Name tags are not required for dependent children. However, if you would like to request a name tag for them, please email holidays@bnais.com. Members were mailed tickets in mid-August. If you haven't received your tickets, please come to the Hospitality Desk 30 minutes prior to any of the services to check-in. Thank you. Questions about your membership status or outstanding balances? Contact Melissa Grand, Bookkeeper, or Leslie Oberst, Executive Director, at 916-446-4861. 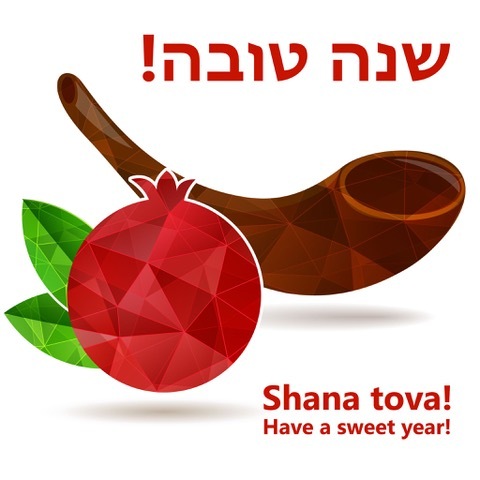 As we do all year, we open our doors and encourage non-members to experience High Holy Days worship and the benefits of affiliating with a Reform Congregation. No one will be denied admission to High Holy Days services because of a genuine inability to pay the suggested contribution. Members who have forgotten their name tags will be required to register at our Hospitality Desk and fill out a new name tag. College students and active duty military receive complimentary entry; they are required to present a current student or military ID and sign in at our main entrance at each service. Access to worship services will be through the south foyer, as well as through the Memorial Room, north of the Sanctuary. Parking is available in the south parking lot, as well as on 11th Avenue. Limited street parking is available, providing easy access to the pedestrian entryway near the south foyer. For those who park on streets in the Land Park area, please be considerate of our neighbors and do not block their driveways. We encourage you to carpool with friends and neighbors who are coming to the temple. Please email Leslie Oberst, Executive Director, execdir@bnais.com, if you need additional help with parking. Click here for information about our child programming and child care. You can register for both HERE. Our largest services featuring both traditional and contemporary prayers and melodies led by Rabbi Mona Alfi and Cantor Julie Steinberg, accompanied by piano and members of the CBI Congregational Choir. Seating is on a non-reserved basis; tickets/name tags are required. For families with children 10 years and under including music, learning and worship for young children. Our High Holy Days Family Services will take place on Rosh Hashanah morning, Monday, September 10, and on Yom Kippur morning, Wednesday, September 19. Both services are at 9:00 am in the Sanctuary for about 30-40 minutes, and are appropriate for families with infants through 3rd grade. At the Rosh Hashanah Family Service, Rabbi Alfi will be giving a special blessing for all babies born since last Rosh Hashanah, and the Yom Kippur Family Service will feature a mini Shofar service. Seating is on a non-reserved basis; tickets are NOT required. Children are required to be accompanied by adults. A dynamic service led by teens for teens in the Harry M. Tonkin Chapel. Seating is on a non-reserved basis; there will be a sign-in sheet and fillable name tags in the Chapel foyer. Click here for the flyer with details. CBI has a limited number of large print siddurs and listening devices to amplify the sound in the sanctuary. To reserve yours in advance, please call the CBI office at 916-446-4861. If you have specific physical needs that require that you be seated in a specific area of the Sanctuary, and can arrive early, please call Leslie Oberst in the office. We will do our best to accommodate you. Please be advised that reserved seats that have not been claimed will become available to everyone 10 minutes before the service begins. Accessible parking is available in the south parking lot, on 11th Avenue, and along Riverside Boulevard. Please note that the pedestrian gate alongside Riverside (near the Chapel) will also be available for your use, providing easy access to the Sanctuary. Those who find it advantageous may drop off disabled and elderly passengers along Riverside Boulevard at the pedestrian entrance, or near the entrance at 11th Avenue and Riverside. Please email Leslie Oberst, Executive Director, if you need additional help with parking. Copies of Rabbi Alfi's High Holy Day sermons can be provided for your use during the services. Please email Leslie Oberst, execdir@bnais.com, so we can have a copy ready for you when you arrive at the service. Thank you.